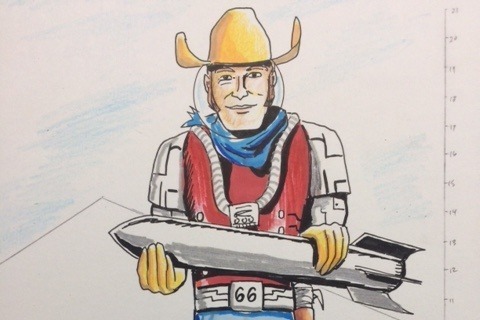 ArtistMarkCline We are raising money to have a Route 66 Roadside attraction built which is a 20 foot Muffler Man of Buck Atom's space cowboy built by artist Mark Cline from Enchanted Sculpture Studios. 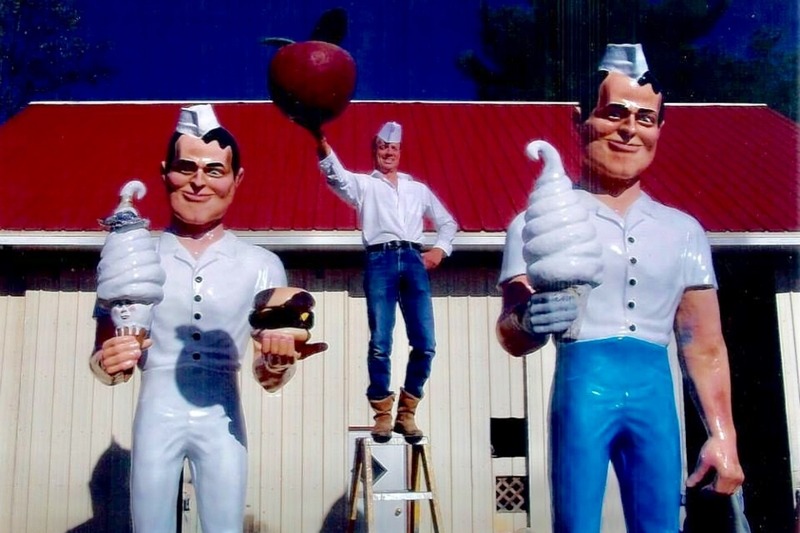 Some history about the Muffler Men from Roadside America! "Muffler Men. Stoic sentinels of another era? Or smoldering chimneys of unrest? These colossi were originally created in the 1960s by a California fiberglass company for gas station chains in sizes ranging from 14 to 25 feet. M-Men once beckoned noisy and exhaust-weary vehicles to replace their mufflers. 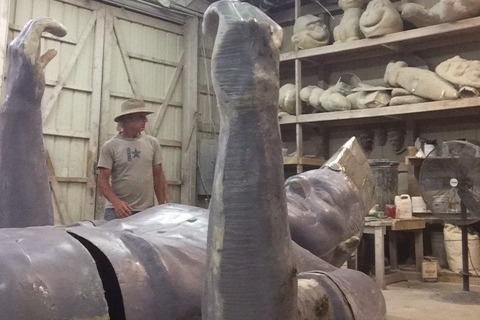 The statues' hands were molded to hold mufflers or tires. As establishments closed or changed owners, the lantern-jawed Muffler Men were transplanted to other locales. While hundreds have been lost forever, many still stalk the shoulders of highways across the nation." 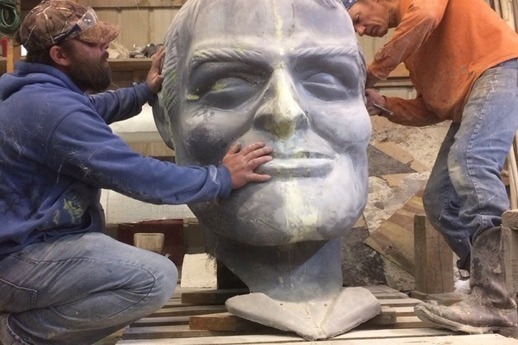 The money raised will go towards building the 20 foot Muffler Man, transporting him, setting him up on historic Route 66, and any additional costs that arise. 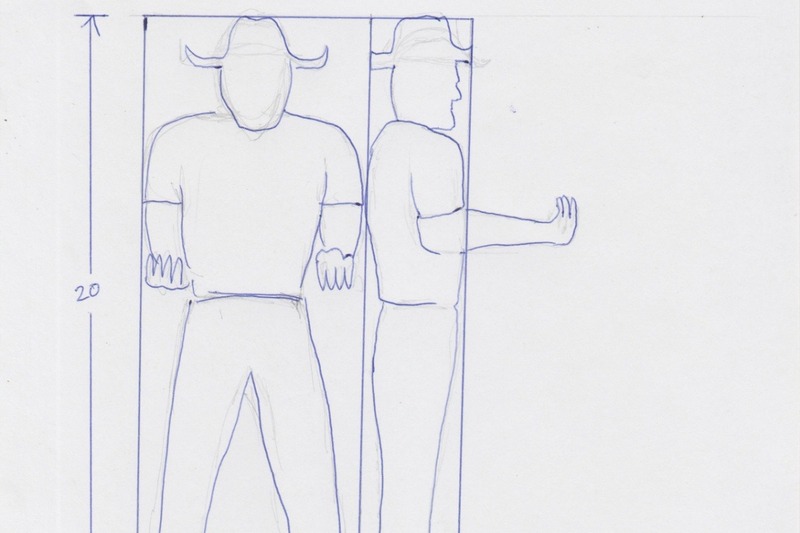 As soon as we get 50% of the funds the artist can start building the space cowboy giant. By supporting this GIANT dream of mine this will increase tourism in Tulsa, Oklahoma and on historic Route 66 with local and international travelers! WE WELCOME EVERYONE! This roadside attraction is for our community and the travelers of Route 66! Plus...the 76 foot Golden Driller will now have a buddy! 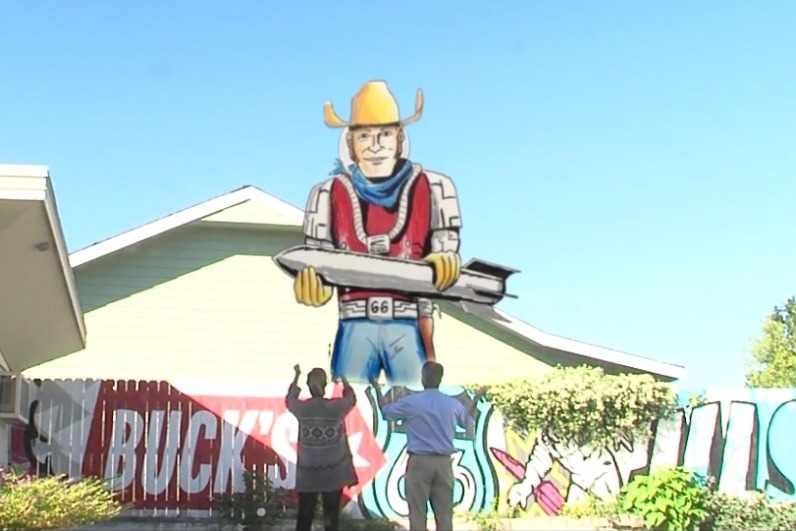 Hello Buck Atoms Muffler Man followers! We are looking at a May installation date! Buck is being built NOW! I just added a few new photos of his head and legs! Costs have gone up through this process including the transportation from Mark Cline to Joel Baker, cost to paint a portion of the rocket ship by Oklahoma artist Tanner Frady, a final payment to Mark Cline, and more. 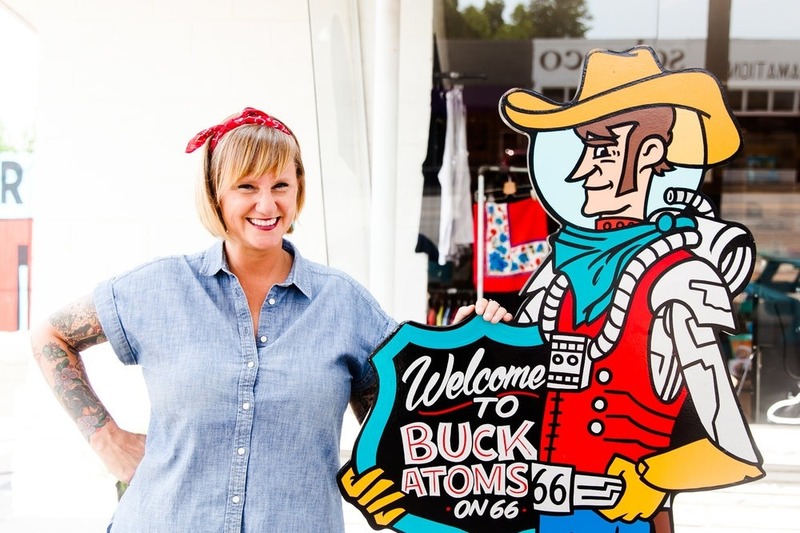 Ways to donate: Go Fund Me, you can write a check to Buck Atoms and mail to 1347 E. 11th Street Tulsa, OK 74120, or donate in store. 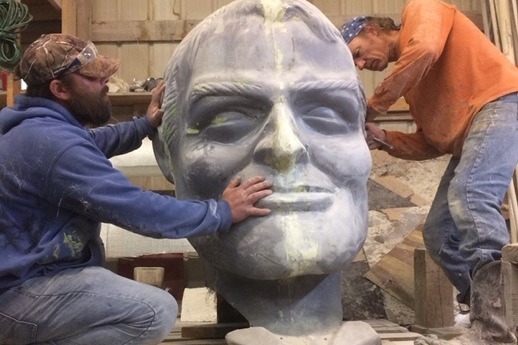 This is the BIG PUSH to fully fund this GIANT ON ROUTE 66! FRIENDS!!! 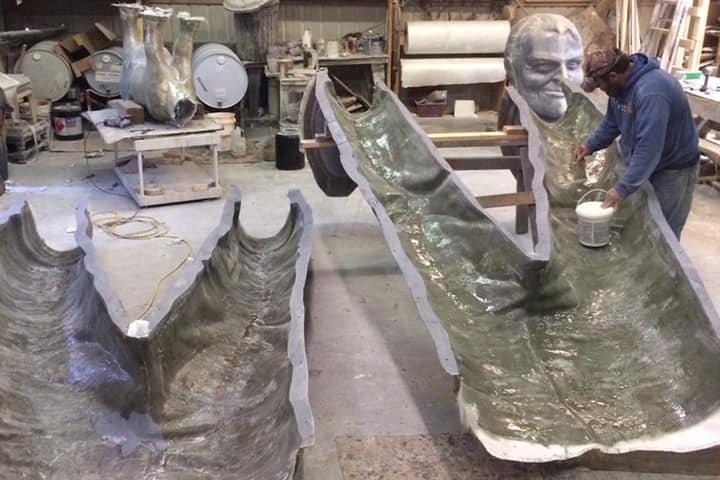 Mark Cline has started building BUCK ATOM'S 20 FOOT SPACE COWBOY Muffler Man to stand tall on Route 66 in Tulsa, Oklahoma! THANK YOU ALL so incredibly much for believing in this dream and helping bring Buck to life on the Mother Road! We don't have a set date but are "aiming" for an APRIL 2019 install by Joel Baker and team from American Giants. At this stage we need to raise $1500 to transport Buck from Virginia to the American Giants crew to install his internal structure! 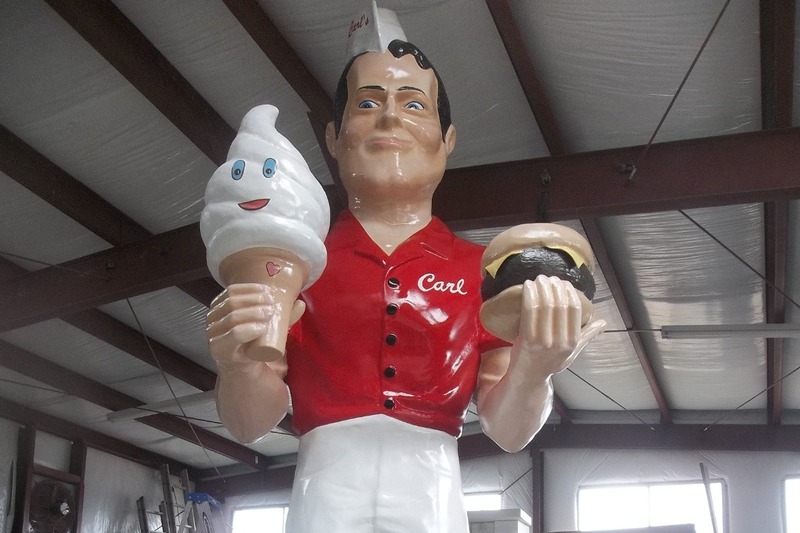 We can't wait for our Roadside Attraction of Buck to stand tall and continue to help promote traveling and tourism on Route 66! Route 66 Travelers and Friends!!! We have some exciting news! We have been fundraising for 2 months and we are 50% to our goal! 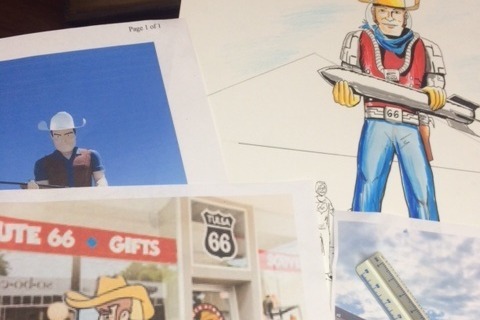 Mark Cline will start building our American Giant in December. 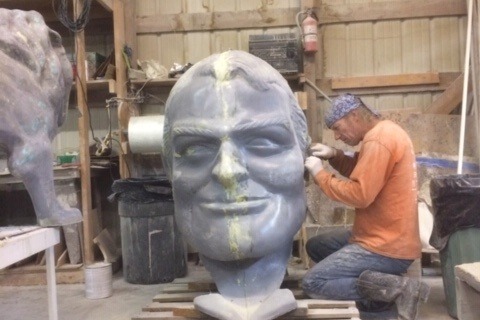 It will take him approximately 2 months to build our 20 FT Space Cowboy Muffler Man! We will keep you updated on his installation date! 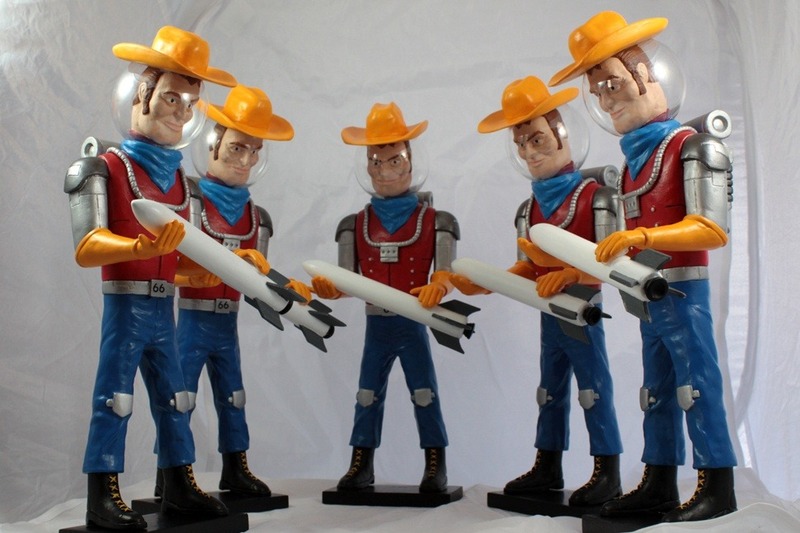 Scott from Sculpture Island has made 10 one foot sculptures of the Buck Atom's Muffler Man for our fundraiser. They are signed and numbered. We only have 4 left. They are $1000 each and 100% of the money goes into this fund. Donate here or at Buck Atom's! 1347 E. 11th Street Tulsa, OK 74120. THANK YOU ALL for helping bring this ROUTE 66 Roadside Attraction to LIFE!